The best whisky in the world no longer comes from Scotland. Instead, it was created some 5,700 miles away from Scotland -- at a distillery in Japan. For the first time ever, a Japanese brand has won the title, according to the newest version of the "Whisky Bible," a renowned industry publication from whisky expert Jim Murray. 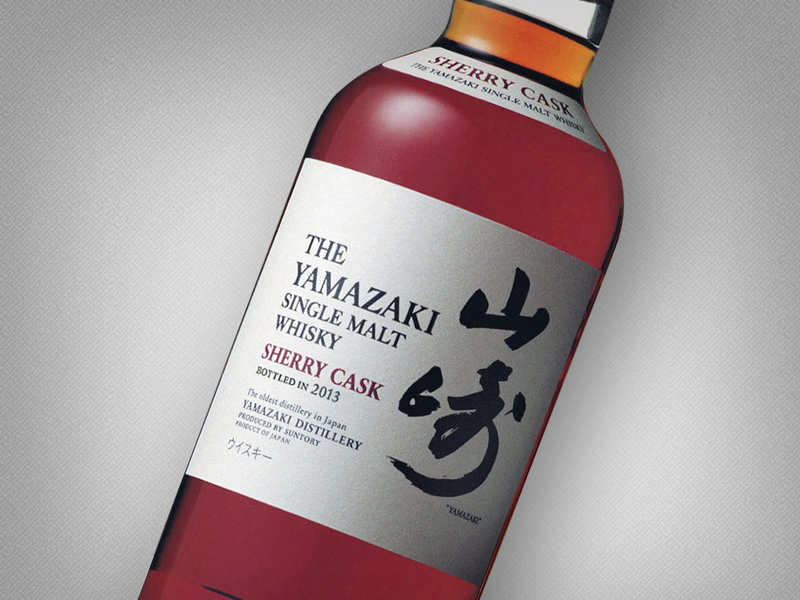 The Yamazaki Single Malt Sherry Cask 2013 from Suntory scored a 97.5 out of a possible 100 points in the publication. In fact, Scotland didn't show up at all on Murray's short list of the top five whiskies in the world. The country didn't even win European Whisky of the Year -- that honor went instead to an English distillery. Only 18,000 bottles were made of the Yamazaki single malt that Murray praises as a work of "near incredible genius." He also gushed over its "nose of exquisite boldness," and said the drink is "a single malt which no Scotch can at the moment get anywhere near." Three American bourbons followed the Yamazaki on Murray's list: William Larue Weller came in second, Sazerac Rye 18 Year Old took third place and Four Roses finished fourth. The episode is being described as a wake-up call for the Scottish whisky industry. "Humiliation for Scotland," chided Daily Mail Online. In a blistering critique of the Scottish industry, Murray said distillers should take note of the surge of quality whiskies coming from other countries. "Where were the blends which offered bewildering layers of depth?" he wrote. "Where were the malts which took you on hair-standing journeys through dank and dingy warehouses?" He also accused Scottish distillers of taking "their eye off the ball." Suntory says its whisky was made with oak casks from the forests in northern Spain. The casks held Oloroso sherry for three years before they were used to age the Yamazaki single malt, the company said. As a result, the whisky is rich -- Murray says it's "as rounded as a snooker ball" -- and has an intense reddish bronze color. It sells for about $160 a bottle.